We did this tattoo at the Baltimore Tattoo Convention 2014. This was a different project for me, and I wasn't sure what direction I was going to take it at first. 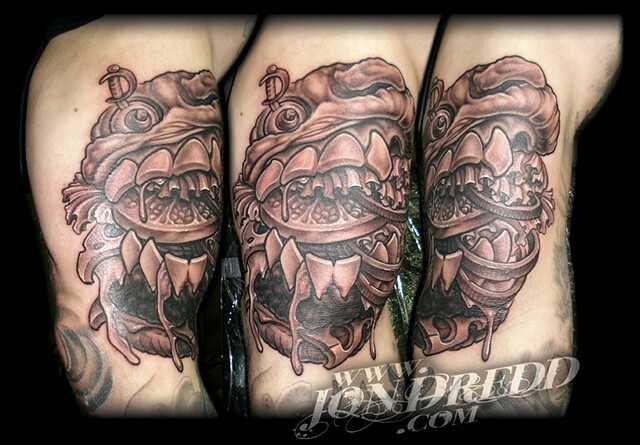 He had almost an entire sleeve of food related tattoos, and specifically asked for strange and crazy version of a food related piece... so there was born, this Burger Monster!